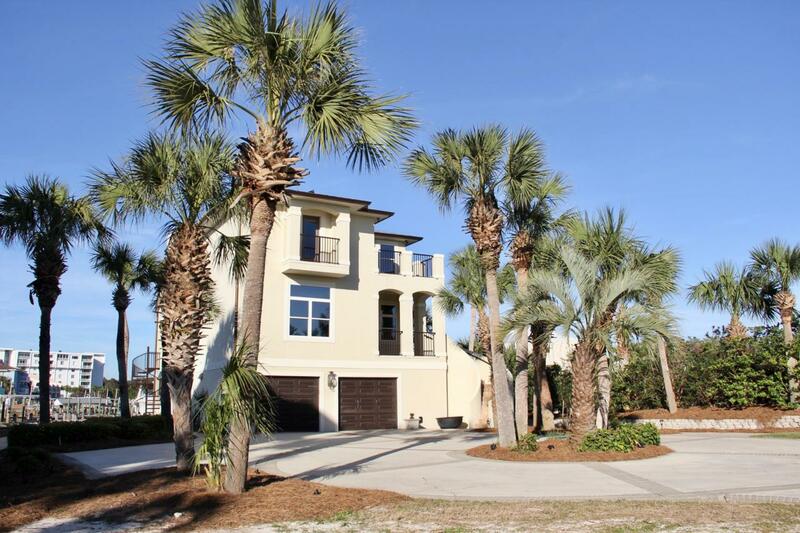 This amazing waterfront estate sits on the Destin Harbor and has 4 boat slips, 2 lifts with 28000 lb capacity, a pad for a jet ski and a cleaning station for all the fish you catch . Slips can hold up to a 40' + boat. Large brick paved patio, trex decking and seawall was repaired with new tiebacks and rods in 2018. Home features 5 bedrooms and 4 baths and is fully furnished. First floor could be a mother-in-law suite or separate lock-out apartment with an entrance from inside or outside. There is a Murphy bed, living area , kitchen and bathroom with a walk-in steam shower with tiled flooring throughout. Granite countertops in the kitchen and stainless steel appliances.